Besides Nawazuddin, the film stars Amrita Rao as his wife Meena and Sudhir Mishra in important roles. As the leader was based in Maharashtra, the movie is having a stronghold in the state. To be specific, its Marathi version is doing great in terms of its collections. The film is also being in Hindi. Thackeray witnessed a good overall first weekend, but faced a drop of 15-20% on Monday compared to Friday. Upon opening, it collected Rs 6 cr, Rs 10 cr, Rs 6.90 cr, and Rs 3.75 cr on 1st day, Saturday, Sunday, and Monday respectively. With its release at the silver screen, the film garnered mixed reviews from the film critics. Despite getting mixed reviews from critics, the flick got positive word of mouth from the audiences – especially Maratha. The same day release Manikarnika: The Queen of Jhansi starring Kangana Ranaut has turned out to be a winner and has collected more than Rs 50 crore by its 5th day in business. 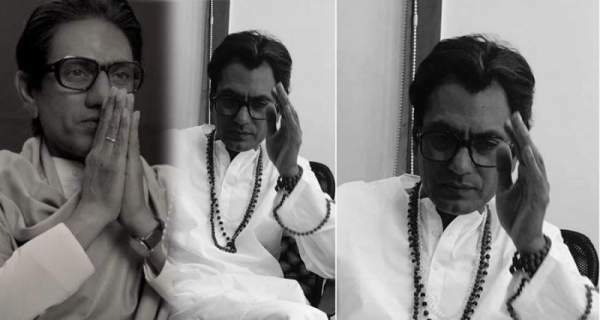 Nawazuddin’s Thackeray is facing competition, especially from Manikarnika and Vicky Kaushal’s Uri: The Surgical Strike. All of these films have been based on real incidents. Speaking of its fifth day, Thackeray started on a slow note compared to Monday (yesterday). The morning shows occupancy faced a little drop. However, the drop is not that significant. Based on the reports, it should collect somewhere around Rs 3.5 cr. The exact figures will be updated on Wednesday morning. It is made on a medium budget of Rs 30 cr that it should cover soon. Even if, it manages to collect Rs 40 crore in its lifetime run, it will be considered a HIT film.